The Beyerdynamic MCE 85 PV Shotgun Microphone is a professional standard and remarkably lightweight condenser mic featuring an electret condenser capsule and super cardioid/lobe polar pattern, powered via phantom power; the ideal pic for direct miking in noisy environments. Developed for professional indoor and outdoor audio recordings, the MCE 85 PV combines superior quality and excellent polar patterns in a rugged yet lightweight aluminium housing. The MCE 85 PV can be mounted to film cameras, DSLR cameras, and digital camcorders or in combination with a microphone boom or as a handheld for high-quality recordings. Thanks to the supercardioid /lobe polar pattern the MCE 85 PV can be used to record a sound source very precisely without disturbing ambient noise. 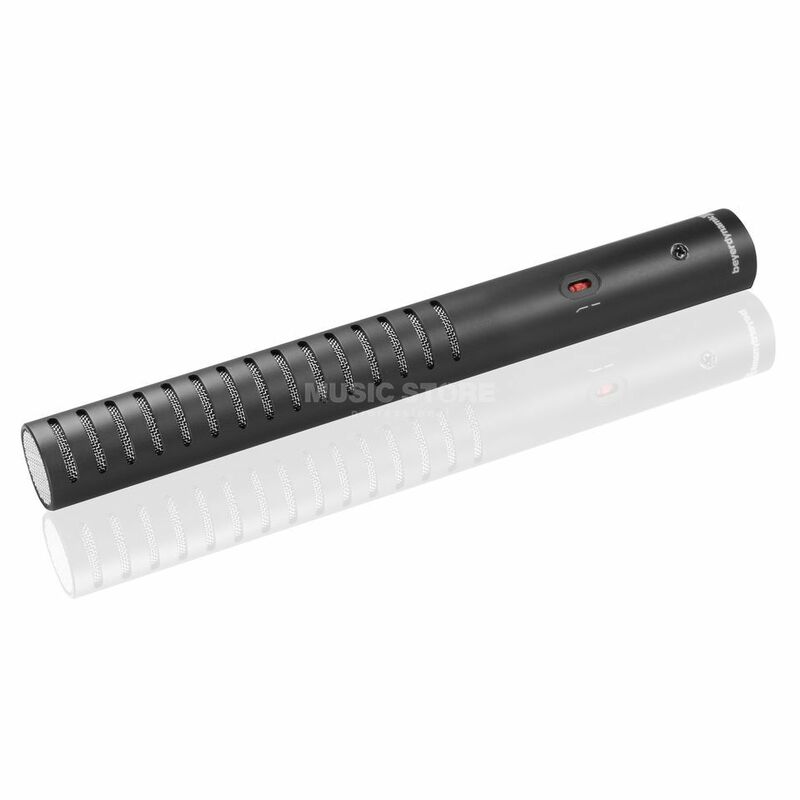 A high-quality electret condenser microphone capsule inside the shotgun microphone ensures exceptionally precise sound reproduction. The included low cut filter can be switched on and off. It eliminates low frequencies and compensates for mechanical vibrations and proximity effect. The MCE 85 PV can be powered from any balanced phantom source.